Kokan is always a great place to visit with beautiful beaches along the long coastline that Maharashtra has naturally been gifted. One of the locations is Harihareshwar. Harihareshwar is in Raigad district in Maharashtra is famous for the temple and its beach. 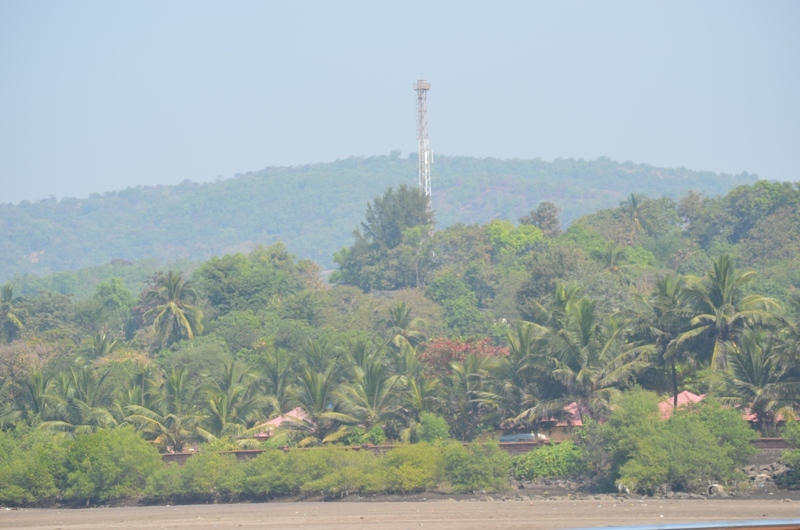 It is surrounded by four hills while river Savitri enters the Arabian Sea from this town. Harishareshwar is around 180 km from Pune, which takes roughly 4-5 hours while the road condition is average. The other mode of transport available the state transport buses that ply from Pune and Mumbai, while we went by hiring a car to this destination on 17th Jan 2015. The Harihar hill on the sea shore adds to the attraction of the beach. Solitude seeking tourists can make the visit to Harihareshwar beach a unique experience. Harihareshwar Temple has two temples. The smaller Kalbhairav temple is expected to be visited first, before entering the main Harihareshwar temple housing an ancient Shiva Linga. Harihareshwar is all weather tourist destinations which has good resorts and hotels available. Though, in summer the afternoon can be a bit harsh for a few. This place is also known as Dakshin Kashi, moreover it is said as Devbhumi (God’s place). A pradakshina route goes around the temple, along the sea-shore. It is not advisable to go on this route during high tide. Parikrama around the Harihareshwar temple is considered a sacred duty by devotees visiting the holy site. The walk encircles around the temple and traverses alongside its four attendant hills. The parikrama path first goes around the temple, then climbs the hill directly behind it, proceeding down to the sea, along the shoreline, then back up to the temple. The waves have cut small caves and niches into the rocks here. At one such cove, sweet water flows back out of one of the crevices each night. Beach here is clean black sand which you can take a walk along. Beautiful scene of the hill-side along the beach is an ultimate experience. It is not at all advisable to venture deep into the sea over here as the sea is not suitable for water sports.